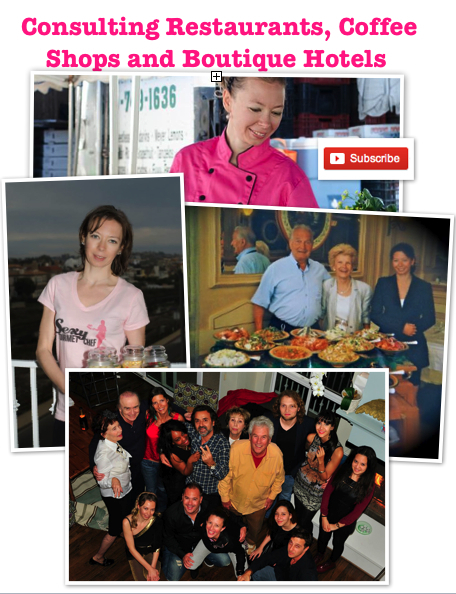 Restaurant Concierge Services – Top Best Restaurants in LA Where to eat in LA? Top Best Restaurants in LA Where to eat in LA? Ago, Bazaar, The Polo Lounge, Circa 55, Bombay Café, Bona Vista Lounge, Bouchon, Bar Bouchon, Chosun Galbee, Cicada, Cleo & Library Bar, Comme Ca, CUT, Fig & Olive, The Foundry, The Hungry Cat, Il Fornaio, Koi, The Little Door, The Little Next Door, Ocean & Wine, Lucques, Mastro’s, Melisse, The Palm, Petrossian, La Piazza, Osteria Mozza, Pinot Provence, Pizzeria Mozza, The Queen Mary, The Ranch, Scarpetta, The Sidewalk Café, The Sky Room, Spago, The Standard Hotel, Taste, Learn About Wine, WP24, Yamashiro. Restaurant Guide and Concierge Services. Restaurants succeed or fail based on the food and service experiences that they deliver for the price. While most restaurants offer a food menu that reflects a defined type of cuisine or style, many fail to create an accompanying style or type of service that enhances their customers’ total experience. What we do is work with restaurant owners and managers to create a service identity and the discipline it takes to express that identity through its employees. 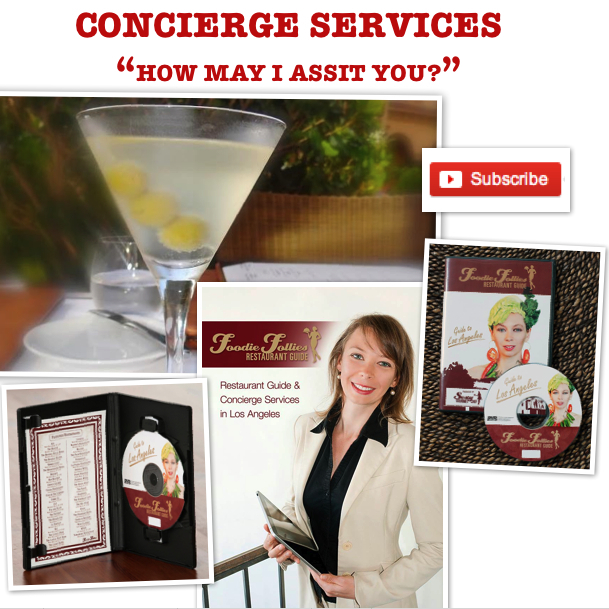 our concierge service division can help you and your family, friends or business associates enjoy your experience to the fullest! We offer a unique blend of services before you arrive and while you’re in LA and/or Las Vegas. Natacha will answer your question(s). Book your 30 mins free session($225 value Gift) by sending us an email directly or subscribe to our Ezine. Copyright © 2009-2014, FoodieFollies™, All Rights Reserved. 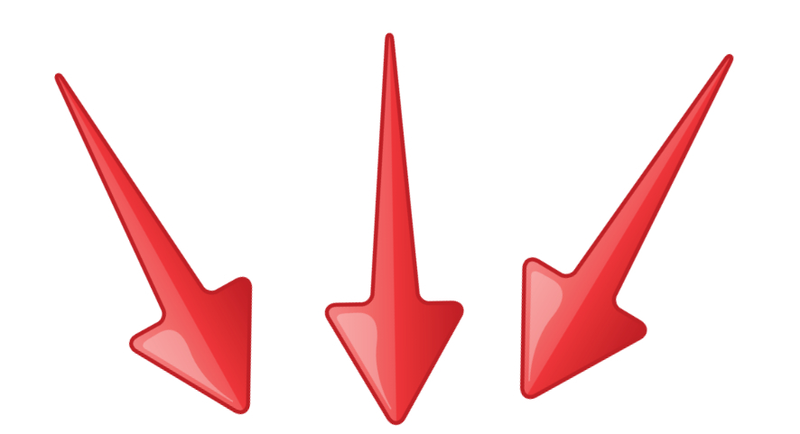 Disclaimer: While every caution has been taken to provide my readers with most accurate information and honest analysis, please use your discretion before taking any decisions based on the information in this blog. Author will not compensate you in any way whatsoever if you ever happen to suffer a loss/inconvenience/damage because of/while making use of information in this blog. Author may keep updating old posts on a regular basis and is not bound to explicitly state all corrections made. 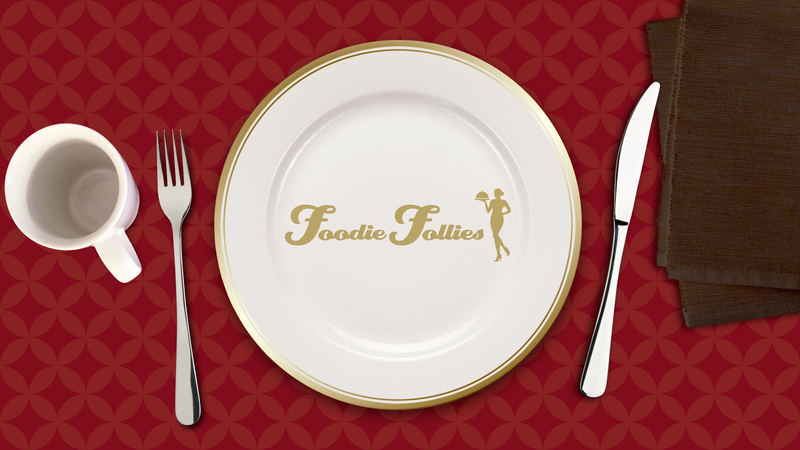 If you are planning a trip to Los Angeles for a vacation, business, or any other special occasions, FoodieFoolliesExpertise℠ can help you before you arrive and during your stay. Concierge Natacha will answer your question(s). Book your 30 mins free session($225 value Gift) by sending us an email directly or subscribe to our Ezine. Copyright © 2009-2014, FoodieFolliesExpertise℠, All Rights Reserved.